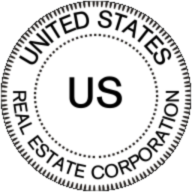 Providing local and national real estate information and services at affordable rates. Save thousands. The mission of the United States Homeowner Association is to provide Homeowners, HOA’s, Associations, Condominiums, and Boards of Directors with comprehensive and professional information, resources and a forum to collaborate for advocacy. The mission of the Rebuild Communities Initiative is to reclaim and revitalize these properties, and communities, by creating the opportunity for families to retain or reoccupy these homes, improve lives and strengthen communities through partnerships with our member partners, organizations, government, and philanthropic institutions. Real Estate transactions at an affordable rate. Buy a home and receive a 50% commission rebate! Innovative Homeowners Services and comprehensive Real Estate services offered at affordable rates.